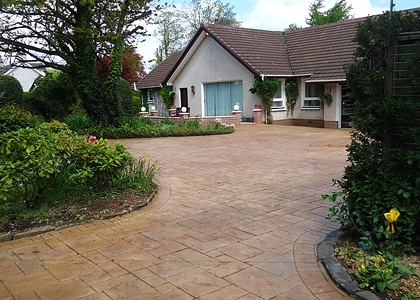 As a family business we have spent over 30 years taking pride in creating some of the finest driveways and patios throughout Scotland. 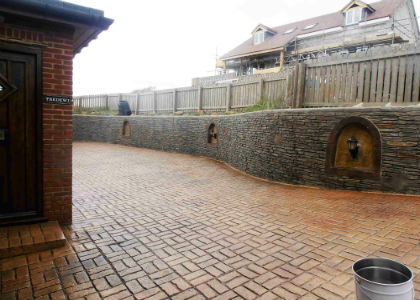 With the addition of our stunning vertically imprinted and hand carved walls we are now able to completely transform the exterior (or interior) of your home in a matter of days. Click here to see our gallery. Although most of our work is through the Central Belt of Scotland,we also have covered areas further afield such as Aberdeen, Inverness, Stranraer, Dumfries, Berwick and Dunoon. 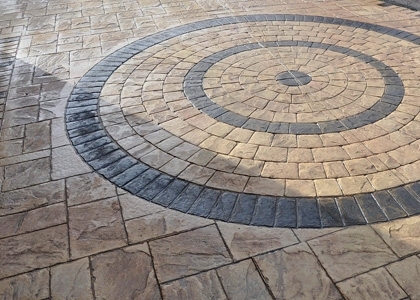 Whatever your Pattern Imprinted Concrete requirements- - Impressed Ltd have the solution.